Michael Ball and Alfie Boe's album, Together, was on many Christmas present request lists, resulting in it going six-times platinum just six weeks after release. The duo are now looking ahead to another busy pre-Christmas time, having announced ten UK arena shows during November and December 2017. They perform at Birmingham's Genting Arena on December 5. Having first met ten years ago, performing together in Kismet at the London Coliseum, Michael and Alfie became lifelong friends. That same year, Michael made history as the first musical theatre star to be given a solo concert at the BBC Proms - and he asked Alfie to join him on stage at the festival. Their natural rapport and personal connection were seen by even more people when they toured the UK together for the first time last year and hosted their own TV show, One Night Only. Individually, the two artists have received a plethora of prestigious awards and enjoyed record-breaking sales and chart successes. During his 30-year career Michael has been a double Olivier Award winner, multi-platinum recording artist, top selling live concert performer and a hugely popular radio and TV presenter. 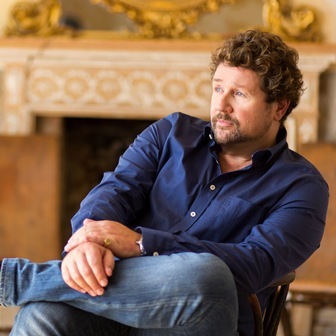 Alfie's exceptional voice has made him Britain's most popular and biggest-selling tenor. He has conquered the world's greatest opera stages and arenas, led the cast of Les Misérables, stole the show at the Queen's Diamond Jubilee Concert at Buckingham Palace, achieved UK album sales of over a million and had four top ten albums. Dec 14: The O2, London.